About The Charcoal Cay: This sleek, modern kitchen offers a 36″ Echelon Black Diamond grill with Magic View ceramic window, black porcelain double doors, and a large 300 series Primo oval grill. 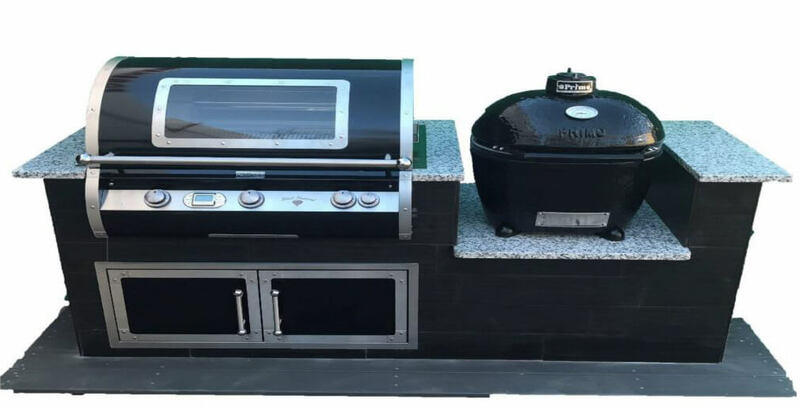 Enjoy the convenience of gas along with the flavor and versatility of a ceramic charcoal grill in this compact package! Yacht Club tile and Pauline Grey countertop come ready to install at the project site.